When I looked at the guests for Wizard World Chicago 2017, artist Rob Schambereger was one of my main targets. I have been a fan of his work for a while and Wizard World presented a rare opportunity to meet him. Rob's style partners well with his usual subject matter of pro wrestling. He has done hundreds of paintings of WWE stars from the past and present. It is cool that he has done so many different wrestlers. He hasn't just done the top 5 or so from each era. As I (literally) spent an hour on his site, I saw familiar, but lesser known wrestlers including Kerry Von Erich, Junkyard Dog, William Regal and so many more. His gallery is a virtual WWE history book. Of course, my favorite is his take on Rowdy Roddy Piper. He totally captured the Hot Rod! His works are sold on his website and on the WWE site. There are also many tshirts featuring his work. While he was incredibly busy at Wizard World, Rob actually stepped away from his booth for a few minutes to talk to me. I appreciated that gesture of kindness and consideration. I hope to see Rob at a future Wizard World event in 2018. Check out RobSchamberger.com to learn more about him and to see a huge gallery of his work. 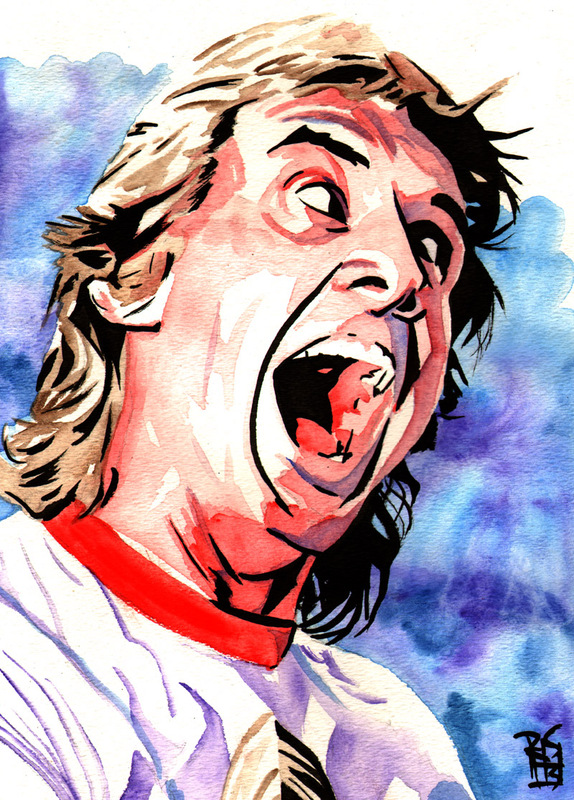 You can also follow the Art of Rob Schamberger on Facebook and Rob Schamberger on twitter. Rob Schamberger and me in Rosemont, IL-August 2017.